I’m not exactly sure when summer begins on the calendar, but out here in the MidWest, it unofficially-but-very-unquestionably began yesterday. The temps were in the mid nineties all day, and after a quick little walk to grab some iced coffee my shirt was sticking to me and my cowlick was in full lick mode. And my toes were swollen. Tinted Moisturizer – I don’t know about you, but something about powder foundation in hot weather feels so dusty and yucky. Images of Dorothy on the tornado-ridden plains of Kansas come to mind. And yet a regular ole’ liquid foundation in hot weather feels like I’ve willingly modge podged myself. Something like BareMinerals Complexion Rescue is perfect for higher temps. Decent coverage, a cooling, gel-like effect, and SPF all make for that perfect summer glow trifecta. And the finish on a tinted moisturizer doesn’t have to be sheer or glowing! There are other options, too: Laura Mercier Tinted Moisturizer, Black Up Mattifying Tinted Moisturizer, NARS Velvet Matte Skin Tint, and Boscia’s BB Cream all have excellent reputations and a range of finishes. Cream blush – How I feel about foundation in the summer applies to blush, too. Powder blush on sweaty skin can look ruddy, do strange things to pores, and be difficult to blend well. A nice cream formula, whether liquid or in a stick, can be a great solution for adding color to the cheeks without the heavy effect of a powder. AND you only need your fingers! Cream blushes also tend to look more natural, as if the pigment is coming from the inside out as opposed to sitting on top of your skin. I love Glossier’s Cloud Paints as well as Stila’s Convertible Color, which doubles as lip color. Self tanner – So, during the hotter months (or maybe year-round for some of us), I have a tendency to use a lot of bronzer. On my cheeks, around my jawline- something about the season just beckons for its use. But I often encounter the problem of my body not matching my bronzed face thanks to the months of being covered from head to toe in a wearable sleeping bag. And because we’re not about frying in the sun (naughty! ), I’m here to sing the praises of self-tanner. Or specifically, Jergens Natural Glow Daily Moisturizer. It’s subtle, the way I like my jokes. And if I find myself in a swimsuit, the stuff actually manages to make me look even and – dare I say it – somewhat toned? The heat must be getting to me. A moisturizing lip stain – Unless it’s during the cool hours of the evening and I’m sipping a refreshing cocktail on a breezy rooftop bar, wearing lipstick during peak hours in the summertime can make me feel like a dog with peanut butter on its lips. And yet burning, cracked lips without any moisture are the epitome of too-long-on-the-lake-and-now-you-look-like-a-burnt-Cheezit. Look to something like one of Revlon’s Ultra HD Gel Lipcolors for hydrating and lightweight color, or one of BeneFit’s many lip and cheek stains like Posietint or Benetint so you can just stain your lips for the day and then only worry about reapplying SPF balm. Something bright! – Come on! It’s summer! Teal eyeliner? Coral lips? The pink eyeshadow trend that was literally everywhere at the Met Ball? Try something celebratory and colorful at the next party or wedding or happy hour you find yourself attending. And there are a gazillion options out there. Marc Jacobs’s Highliner Gel Eye Crayon alone comes in thirty three shades. Hung Vanngo used the bright pink shade called (Pop)ular all around Selena Gomez’s eyes for the Met Ball, and I would love, love, LOVE to see someone wear the powder blue Deja Blue shade- just a line across the upper eyelid. January 20, 2017 the Makeup stuff. 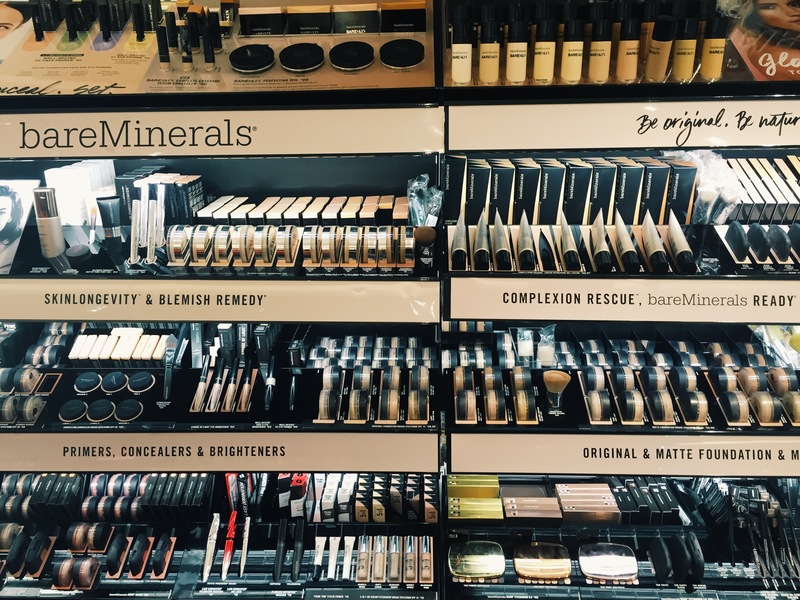 You know that one makeup item you keep buying over and over? For me, it used to be purple eyeshadow. I’d find one at a drugstore or at Sephora thinking I’d stumbled upon something so unique and different for me, only to realize post-purchase that I’ve got five that are just similar enough to make me feel like a dummy. But nowadays, it’s something different. It’s any kind of berry-hued lippie. I’ve never jumped on the red lip bandwagon the way I have the berry lip bandwagon. I’ve always had this thought in my head that a red lip isn’t quite me, that I’m sort of playing dress up or pretending to be someone else when I wear one. However, whether more purply or reddish, a berry-hued, wine-stained lip feels like me (in a dark, black turtleneck sort of way). It’s just different enough from everyday to feel special, but it still feels a little to the left of your typical red lip. And berry shades suit a wide variety of skintones. I find it easier to pick out a great shade of berry for someone than a shade of red. Glossier Generation G lipstick in Jam – This is a great option for those who want only want to gently dip their toes into the wine vat. Jam is a grape-y, sheer matte (so it’s shine free, like a stain) and is more like a balm than any of these. No red in this one, just purply-pink. They’ve changed the formula since I purchased this and I hear the new formula is much better, though I like the original enough. Jam is easily worn everyday with just concealer and mascara, or alone. Revlon Super Lustrous lipstick in Black Cherry – Such a classic. This looks purple-black in the tube but wears as a yummy, juicy shade of cabernet. It’s the perfect dramatic blend of red and purple, sort of magenta but not too bright. It’s buildable enough to create a really vampy look, or you can blot it for a super flattering, more reddish stain. If you’re into knocking out a list of drugstore must-haves, this one’s been famous for a long time. This shade has much more of a rosy, innocent feel, and it’s so cheerful! It’s one of those “in between” shades that I was so sure I didn’t own. And while I don’t own anything exactly like Mulberry Kiss, it is in the berry family and I couldn’t help but shake my head at myself. I love this formula though; it’s very moisturizing and comfortable. It’s the kind of thing you like applying frequently. Maybelline Color Sensational lipstick in Midnight Merlot – This is for when you want to get serious. Midnight Merlot is a deep shade of red-burgundy that is not really glossy or matte; it’s somewhere in the middle. It’s the most opaque of all these formulas, and is the longest lasting. It’s quite bold, and the only thing I caution folks about when wearing colors like this is they can make your lips look smaller and drier if you don’t prep well. You’ll want to exfoliate and moisturize your lips, and then blot and reapply once or twice. If you just wear it straight out of the tube without any prep, dark colors like this can look sort of ruddy and can minimize your lips. I swatched each formula in the following order from top to bottom: Glossier Jam, Revlon Black Cherry, Honest Beauty Mulberry Kiss, and Maybelline Midnight Merlot. Aaaaaaand I tried them all in front of the same window! However, the sun was going down at the time so the lighting got worse and worse. I went sans filter for these, too, though I upped the exposure on the bottom right because the sunlight had all but left at that point. You may think there’s no difference between a couple of these, but those who know makeup and color know putting two shades of any similarly colored lipstick still leaves quite the decision to make. On the left is Honest Beauty Mulberry. From the top down on the right we have Glossier Jam, Maybelline Midnight Merlot, and Revlon Black Cherry. Photo of Jessica Alba credited to CelebMafia.com (public domain). April 1, 2016 the Makeup stuff., the Tutorial stuff. So, what difference can a twenty-dollar sponge honestly make with foundation application? In my honest opinion, a lot. For a long time the BeautyBlender sounded very gimmicky to me. I mean, couldn’t I just go buy the pink knock-off sponges at CVS? Well, you can, but the BeautyBlender is soft, silky, washable, and reusable. It’s meant to handle a lot of work, and it is not the same as your typical drugstore sponge. The results when it comes to foundation application are true to the hype, and I believe this tool works better than foundation brushes! I purchased one perhaps a month ago and I have to tell you that I haven’t picked up a foundation brush since. October 24, 2015 the Makeup stuff. It’s no mystery that I love famed beauty blog Into The Gloss. 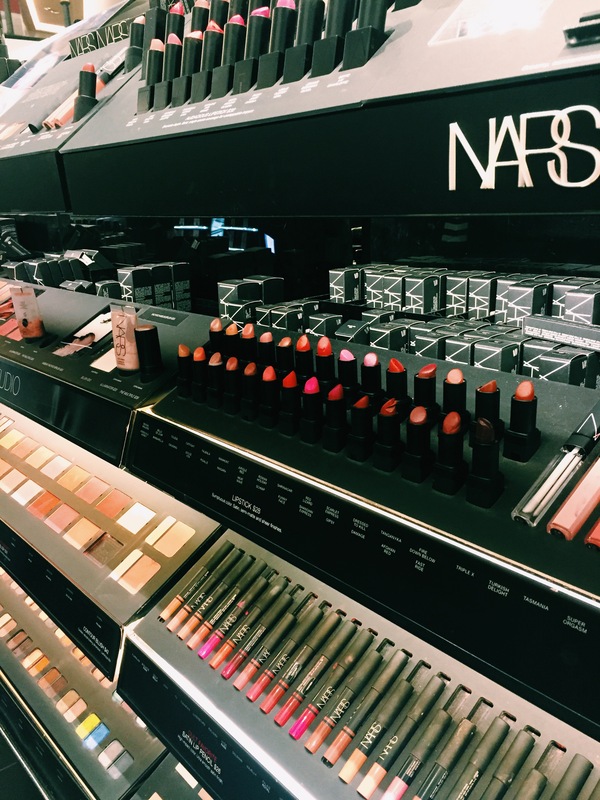 I was lead to discover it one day as I read an interview with Derek Lam in Allure magazine; he suggested it as a beautifully curated beauty blog from an insider perspective (that of beauty editor Emily Weiss). I was in a classroom when I first searched the blog; I remember exactly what computer I was on. 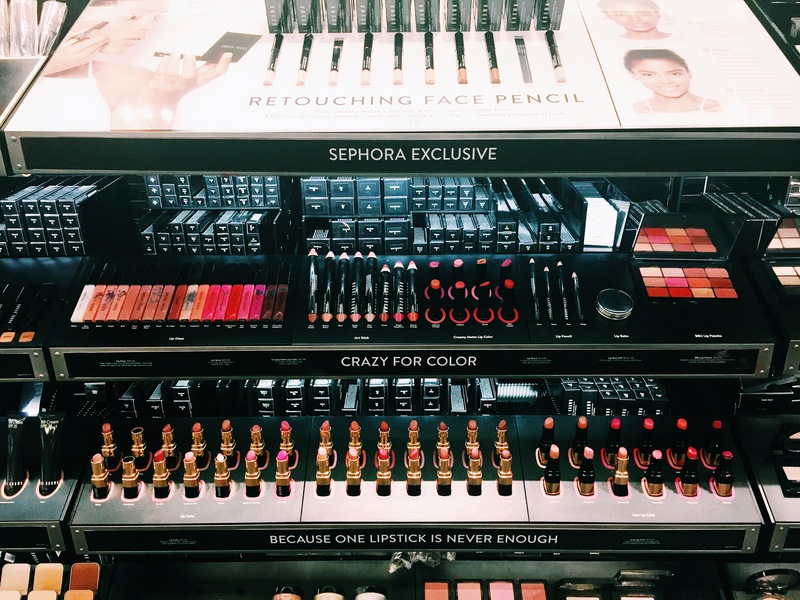 At the time I’d been reading junky, more celebrity focused blogs here and there, but that deep craving for real product knowledge and in-depth discussion over the nitty gritty stuff in beauty wasn’t really satisfied by such content. I also loved seeing what other people used in makeup and hair, but I didn’t have much of a broad platform for these discussions other than my friends and magazines. I loved going through other people’s makeup bags and medicine cabinets (still do!) to see what they used; finding a fancy bottle of shampoo behind someone’s shower curtain is like finding hidden treasure! And yes, that’s me sneaking behind your shower curtain like Norman Bates’ mom so leave out all your good stuff for me to see and play with. Anyhow, Into The Gloss, and particularly their interview features, successfully scratched this itch that I’d apparently been dealing with and it had me addicted around February of 2011. The site seemed to clarify my perspective and ideas about beauty and the specific things I love about it. For instance, not liking makeup for the sake of makeup, but enjoying it (and shampoos and perfumes and facewash) for the environment it creates and the ability you have to curate your own special little collection. It’s like an expression of your identity- the eyeliner you like to wear, the way you like to wear it, when you choose to wear it. ITG felt like it had more philosophy and nuance behind it than blind allegiance to a certain look or brand; more discussion and just plain sharing than crazy video tutorials. ITG also played a large part in building my confidence in going makeup-free. I came to see that your bare, well-treated skin could be just as great a luxury as a rich, smoked-out eye. So when Emily announced the birth and creation of a beauty line in late 2014 based on ITG philosophies and the desires of their readers, I admit that I reacted in a somewhat possessive manner. No! No no no. The blog had gotten too big and too well-known already since I’d begun reading; it was no longer my special little secret and now there’s a product line coming out? Too much! Can’t handle it. I basically hipstered out on the whole thing for a while. But the line- named Glossier (say glossy-YAY)- is just so beautiful and is marketed just so well. 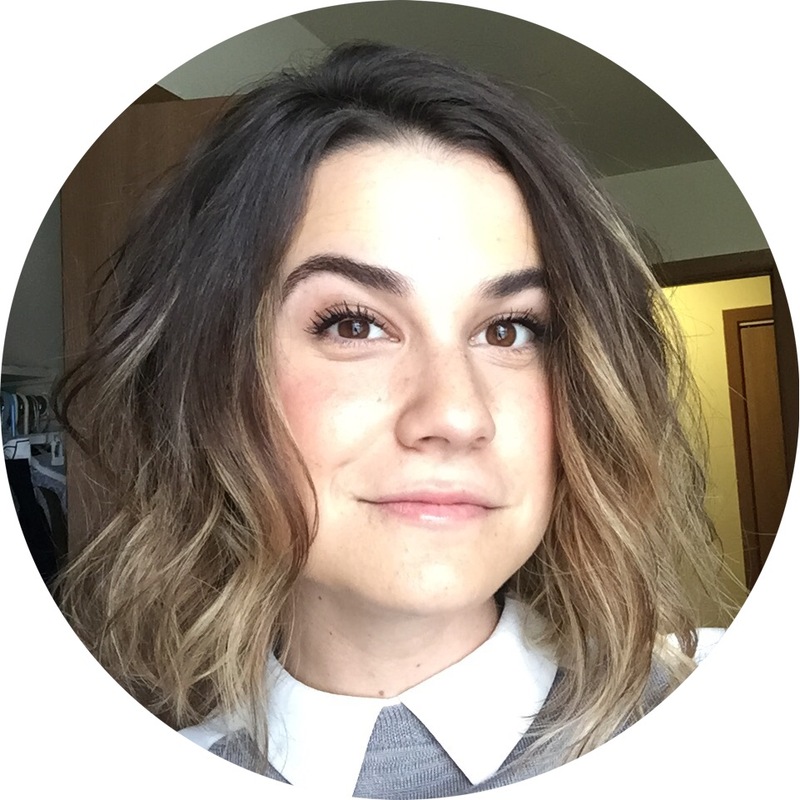 You cannot help but be impressed by the entire experience that Glossier gives its customer. The packaging and social media interactions are unique and adorable, down to the very cardboard box your shipment arrives in and the emojis they use that come as stickers with your order. Their “skin is in” philosophy comes through loud and clear with products like the Skin-Perfecting Tint that seeks to just keep your complexion even and glowing in a way that doesn’t cover up or even “make up” your face. 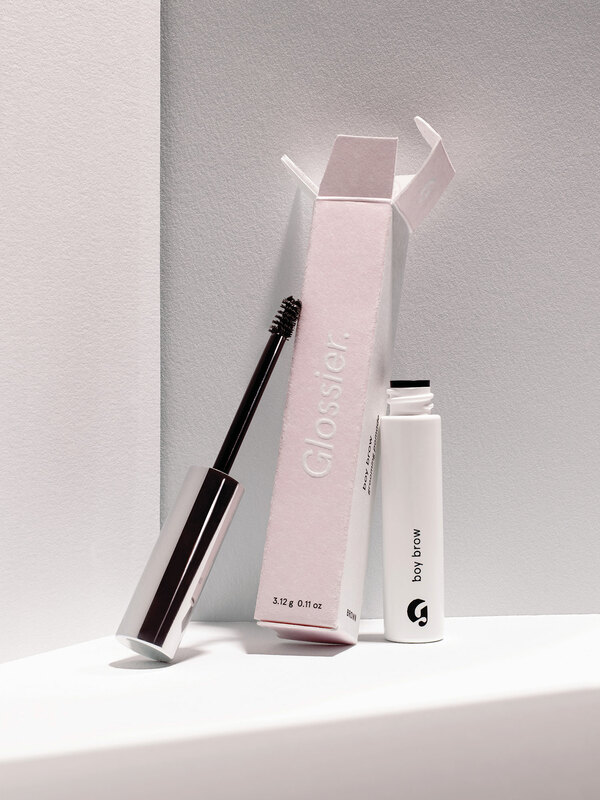 Glossier has a vision that feels clean, fresh, and also very French (which you know I love). The focus is on items like masks, face mists, and balms, like a no-nonsense-but-somehow-still-indulgent spa day for your face. You can tell how much careful thought and editing went into this line, with my favorite example being the trademark shade of “Glossier pink” on all their packaging which reminds me of that pink door in Palm Springs. 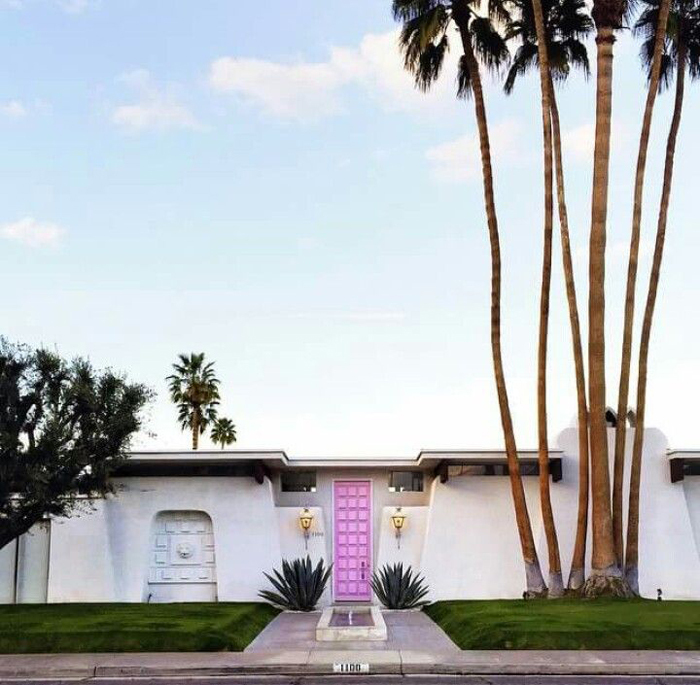 In fact, that’s what all of Glossier reminds me of- Palm Springs. Modern, luxurious, and yet still a little raw thanks to it’s natural environment. 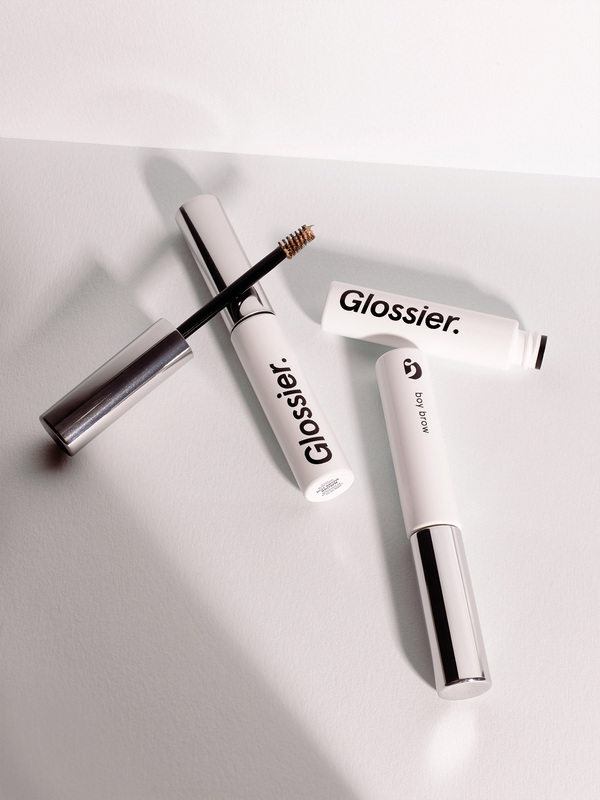 I just can’t help but applaud the whole innovation of Glossier, even if I am feeling a bit jealous of how popular and awesome they’ve become and how everyone now knows it and wants to have them in their medicine cabinet. Today, however, I am celebrating Glossier’s newest addition to its line, and it’s their very first color product. This is Boy Brow! I knew a color product was on its way from the line, but when I discovered that it was a brow product, I might have done a mid-air heel click. Brows are having their moment, and I feel like we’re all looking for that one product (ideally not two or three or four) that takes care of the whole picture. As shown in my post from just a few weeks ago, I sometimes use up to four products at once on my brows (dry brush, two pencils, and gel), and that’s not counting tweezers and any browbone highlighting I choose to do. Even my CK One product that I love so much still has two steps to it. 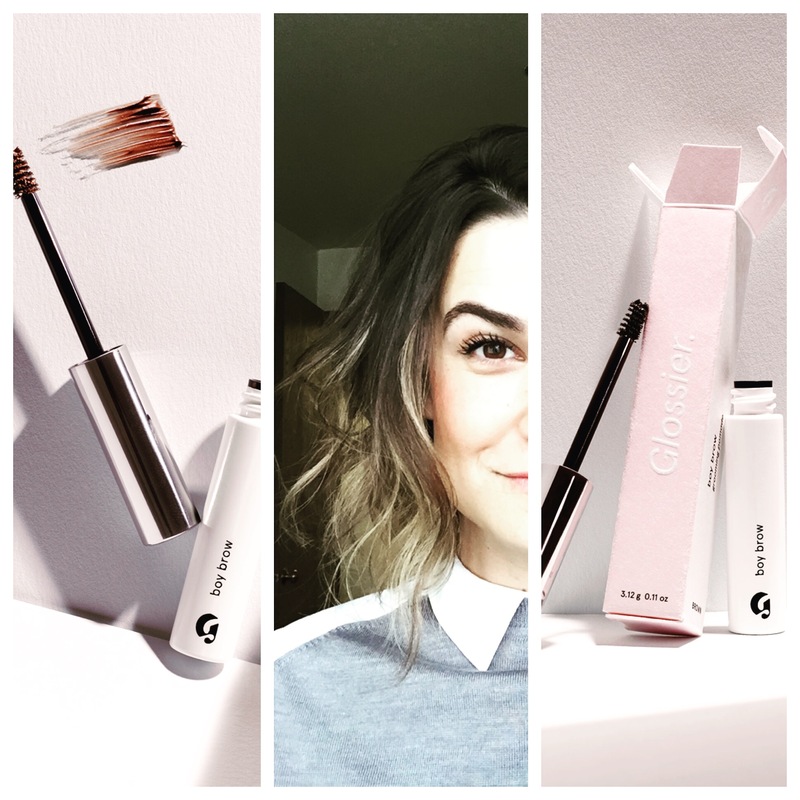 So when Glossier announced Boy Brow as “brows goals achieved” in one step, I was skeptical. If it was to be an all-in-one, this meant the following needed to be true: the brush would need to be strong enough to brush brows into your desired shape without leaving too much product behind, the formula pigmentation would need to be concentrated enough to not need more filling in with some other product, the formula would need to leave a nice finish with some shine, and the formula would need to last without being stiff. To have my brows look the way I want with just a couple literal strokes of a wand is pretty dreamy. The wax formula is inspired by traditional hair pomade with beeswax and canauba wax, which makes sense since guys typically use a creamy but tough pomade when they want their hair to stay in place; why not the same for brows? The formula also lasts all day, as in I’m looking at myself hours later as I write this and my brows haven’t moved. However, Boy Brow doesn’t stiffen in the way that one other product I use does. I enjoy this other formula-that-shall-remain-nameless for its shine qualities, but it can leave my brows very stiff and you can feel the gel stretching when you make expressions with your face. Not so with Boy Brow. Application was a cinch. 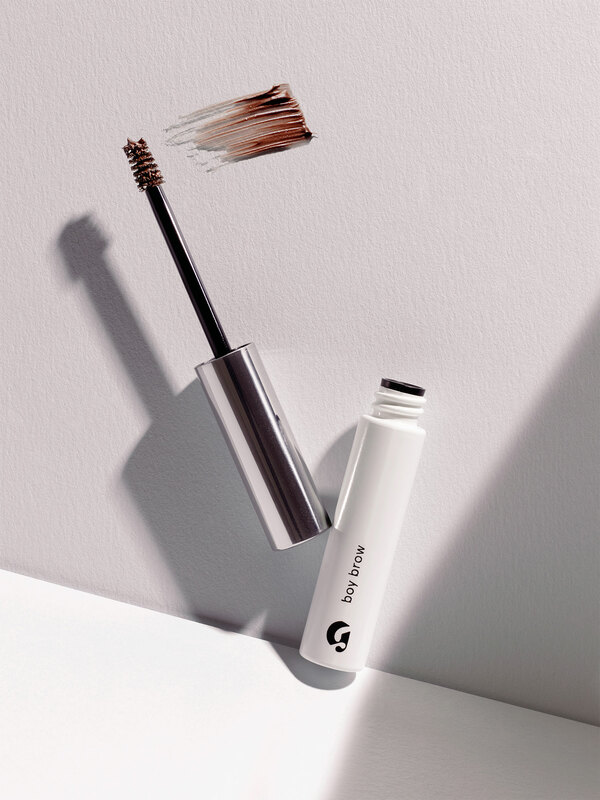 A couple tiny, gentle strokes with the tiny, gentle brush delivered enough pigment to my brows without leaving clumps of goop behind, and my brows were given a thicker, more full appearance which meant no need for extra filling in with a pencil. The finish has a slight shine to it without looking wet, and the small, tapered brush separates every hair. After using Boy Brow with completely successful results for the past two days, I’ve placed this puppy on my bathroom counter, where I try to leave the products I don’t want to leave home without applying first. If it’s going to be that simple, why not keep this out where it’s always handy?